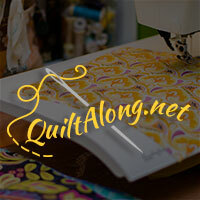 A Quilting Chick: Enchanted, Inc. I just found out that this book is on sale for .99 on Amazon right now and just HAD to share with you. It's called Enchanted, Inc.: Enchanted Inc., Book 1 . This is the first book in a series and it is SOOO good. I've reread it at least five times. This is a really fun read. I recommend it to anyone that I know that is a "reader." And with the sale price, you just can't beat it. Hope you enjoy it too!